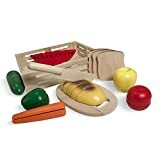 For some time now, I have fancied having a toy kitchen in our own family for the children to play with while I am cooking. 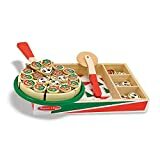 I wanted something unisex, for my 6 year old son and 3 and nearly 1 year old daughters to play with. 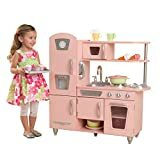 I wanted a nice quality kitchen, more of a nice piece of furniture than a toy, something that would look nice in our adult space. 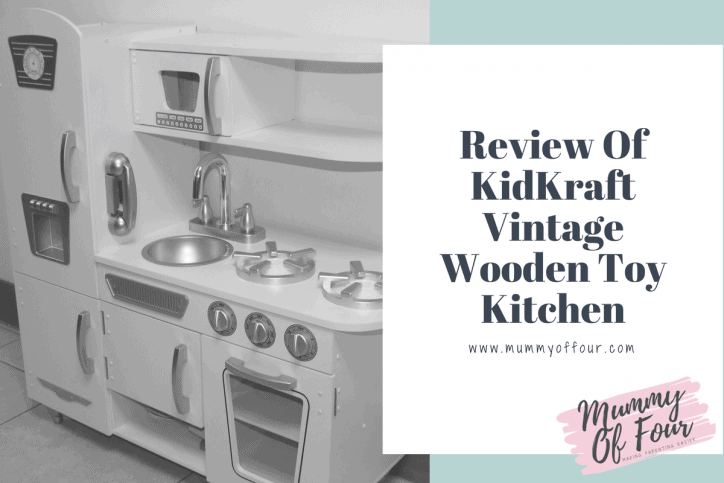 Having searched the internet and asked friends what they have, we decided upon the KidKraft Vintage Kitchen. 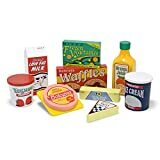 It was more expensive than some of the other options that I had looked at, but I wanted to invest in the right one that would last the children well. 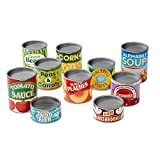 The children had some birthday and Christmas money to spend, so we took the plunge and ordered it from Amazon. 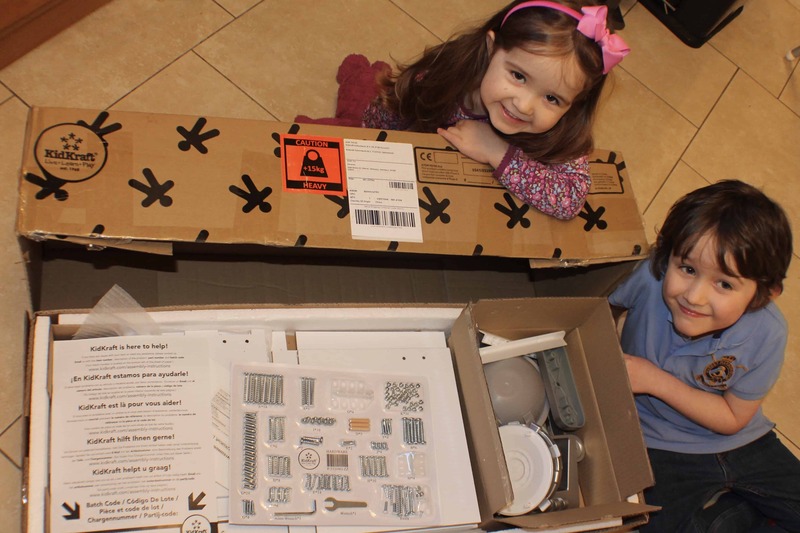 The kitchen arrived, and as you will know if you read my Mummy Monologue post “How To Build A Toy Kitchen In A Billion Easy Steps” the children were very excited. You will also know, that building the kitchen would not be as straight forward as I had hoped. The box itself was heavy, weighing over 15kg. The kitchen was in very many pieces. 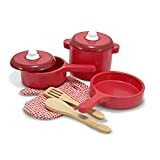 I am not ashamed to say that I passed over the assembly of the kitchen to Daddy Of Four and his extensive selection of tools. As someone with extensive building experience, he actually built the house we live in, I was confident that he would have it done in no time. The instructions were not as helpful as they could have been. They did not seem to be in a very sensible order. Step 1 was not the shell of the kitchen as one might expect, but the finishing touches, such as the taps on the sink. They were not very clear either, with many very similar looking pieces being very difficult to identify from the diagrams. All in all, the kitchen took over 2 and a half hours to assemble. 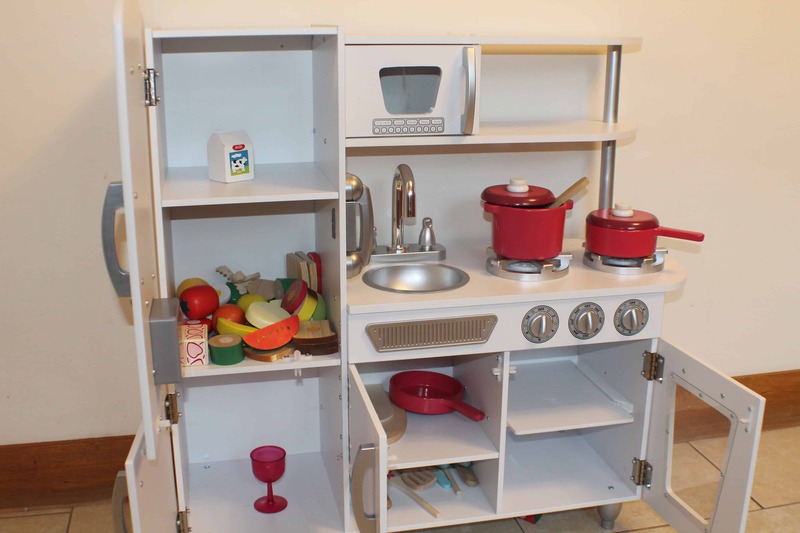 As you will have gathered from the Building A Toy Kitchen post, my husband was less than impressed. My children, on the other hand, were delighted with their new kitchen. The kitchen itself is really lovely to look at and fits in beautifully in our own “real” kitchen. 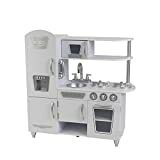 It consists of a play oven, hob, microwave, sink and fridge freezer. The oven and hob have dials that you can turn and the microwave has painted buttons. The kitchen comes with a cordless phone which has proven very popular in our house, with all 3 of the little ones. 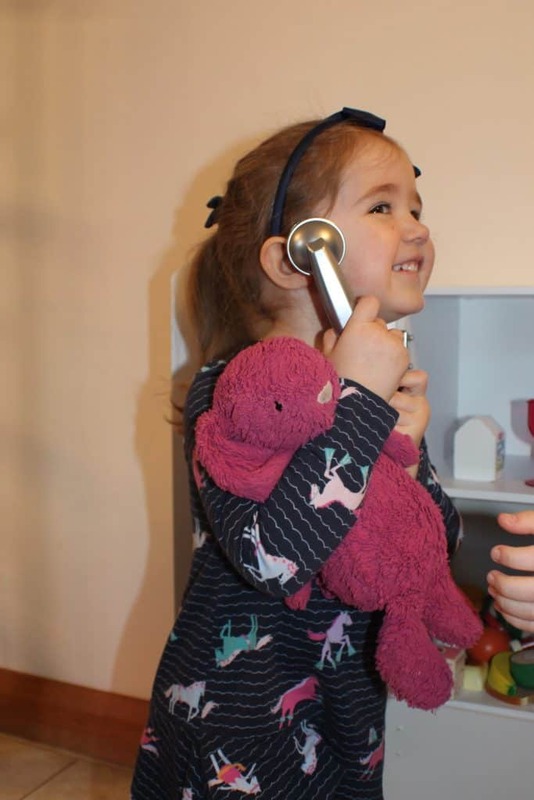 There is a holder for the phone on the wall of the kitchen, but the children have been quite keen to run off with the phone and leave it in other parts of the house. 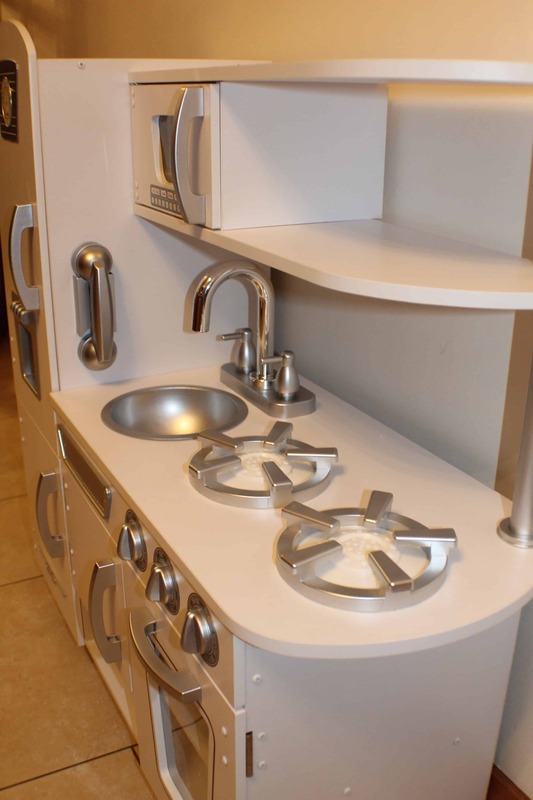 The tap can be moved from side to side for hand washing role play and the sink can be easily removed for easy cleaning. 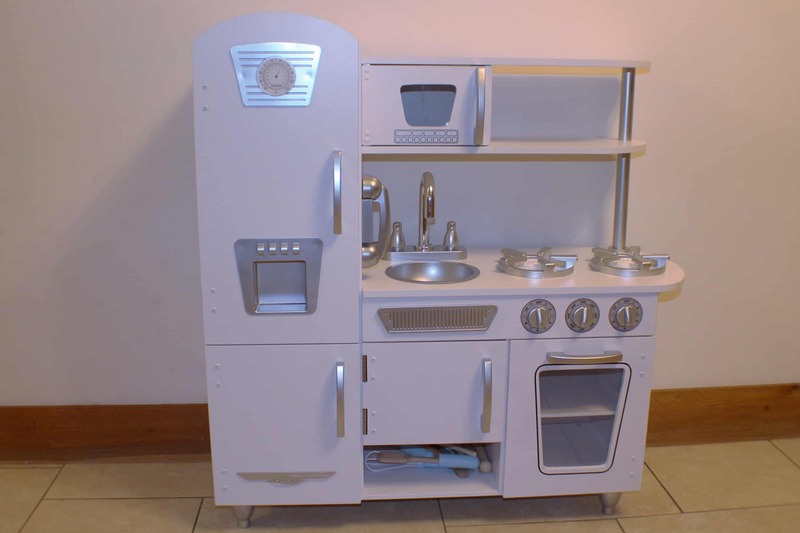 The kitchen is 83.8 centimetres tall, 90.8 centimetres wide and 34.3 centimetres deep. My nearly 1 year old can reach the hob easily and enjoys putting things in and out of the sink. My 6 year old is much taller than the kitchen, but still enjoys some cookery role play, either standing or sitting on the floor. 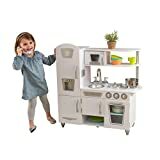 The kitchen has plenty of space in the cupboards for lots of play food and kitchen equipment. 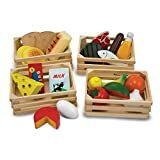 The kitchen doesn’t come with any such accessories, so we filled the cupboards with play food that we already have. 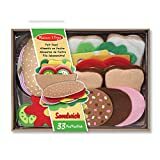 We have a selection of really lovely Melissa & Doug play food, including the Cutting Food Playset the Food Groups Playset and the Wooden Kitchen Accessory Set. All things considered, I am very pleased with the kitchen. It is really lovely to look at, a sturdy construction, and has plenty of lovely features. On the down side, it was complex and time consuming to put together, mainly because the instructions were just not very helpful. 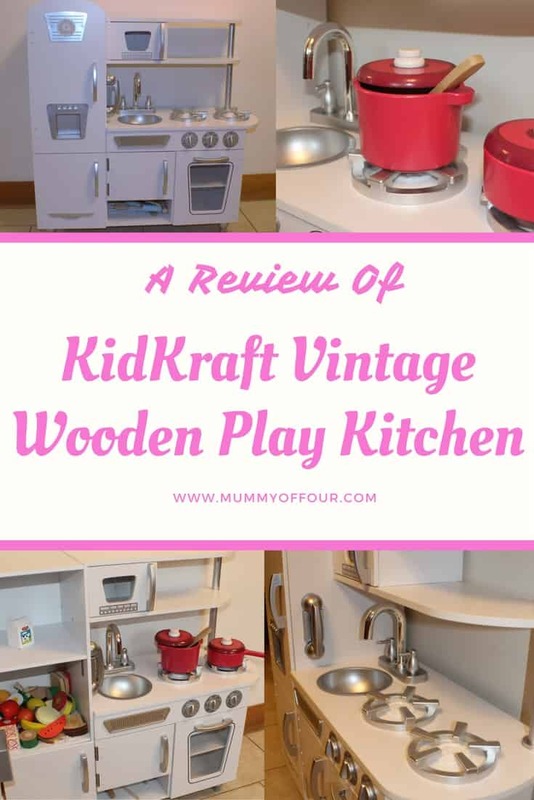 Still, I would recommend the KidKraft Vintage Play Kitchen to anyone looking for a quality toy kitchen that looks attractive and offers lots of functions for imaginative play. 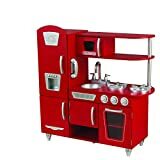 We opted for the whit version of the kitchen, which is also available in pink, red and black. 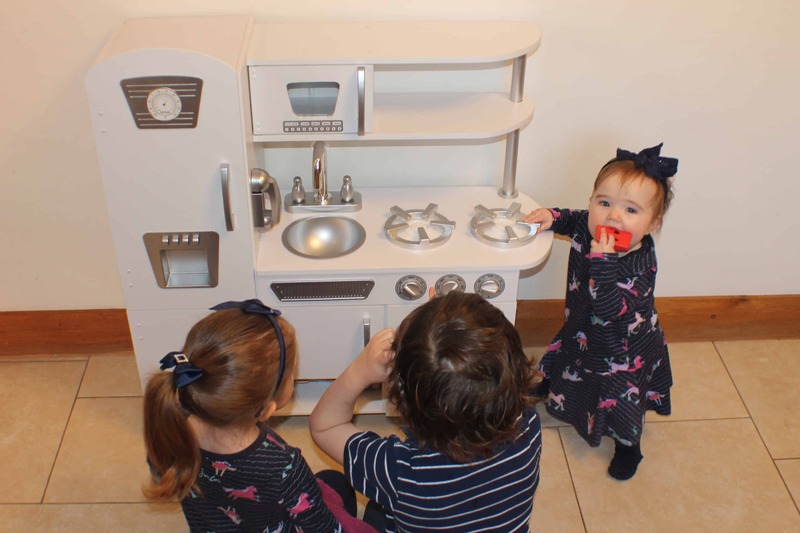 Have you got a play kitchen in your house? Which one do you have? 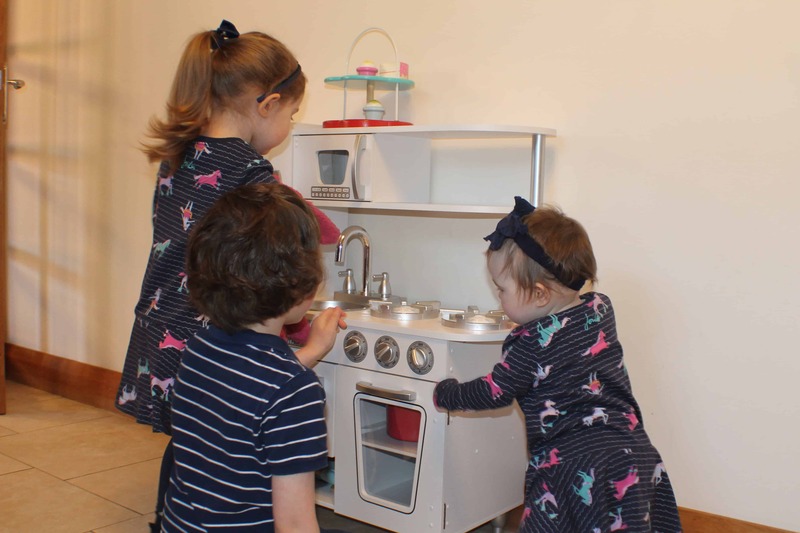 Bella are Zara are photographed playing with their new kitchen in Josie Jersey Trapeze dresses from Joules and available at John Lewis. They play with it every single day and absolutely love it. I think it was worth the money and the stress really.